The Portland Pirates begin its 23rd season in the American Hockey League with fresh faces as they begin a new affiliation with the Florida Panthers. The Pirates and Panthers have teamed up on a new four-year affiliation agreement that will see hockey played at the Cross Insurance Arena until the 2018-2019 season. 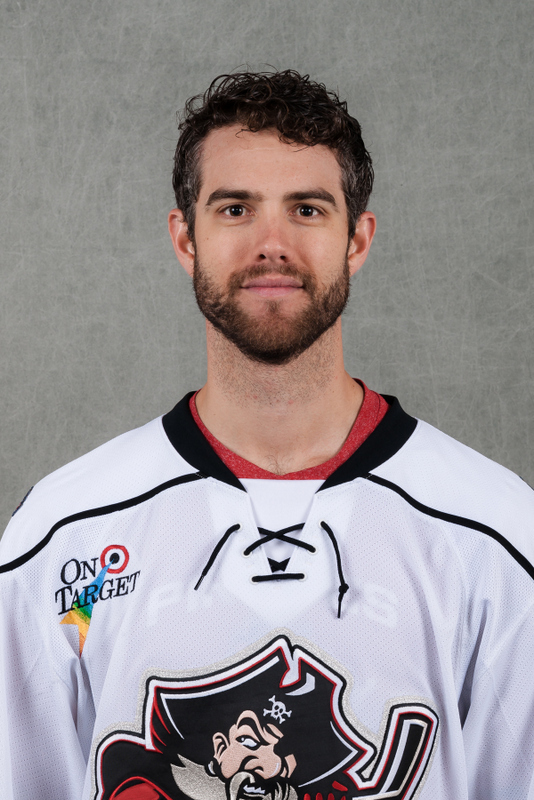 Bio: Brittain is only in his second season as a professional goaltender after spending four years at the University of Denver where he amassed a 51-34-11 record and a 2.45 career GAA under former UMaine great Jim Montgomery. Brittain enjoyed a career-best 2.22 GAA and finished with 19 wins to match his career-high during his senior year in 2013-‘14. He was named a First Team All-American that season while leading the Pioneers to the inaugural NCHC title and an automatic bid in the NCAA Tournament. He was also named 2014 NCHC Goalie of the Year. 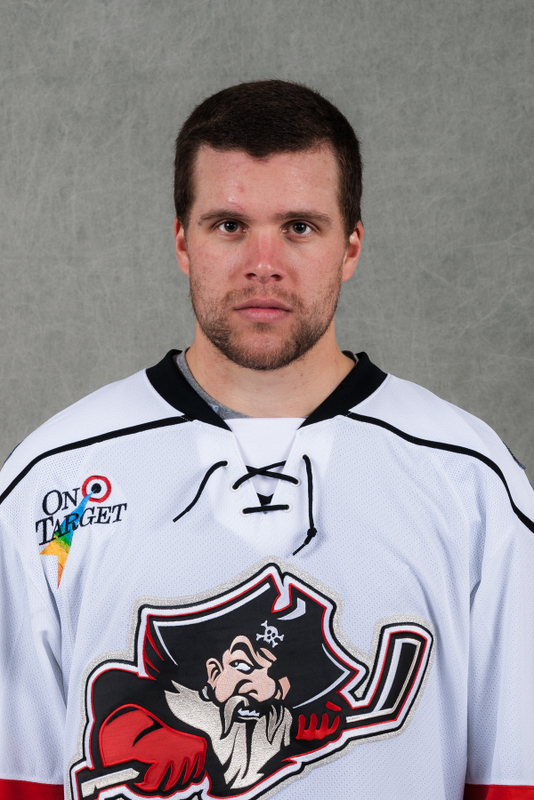 Bio: Weegar is looking to make a full-time move to the AHL this season with the Pirates. 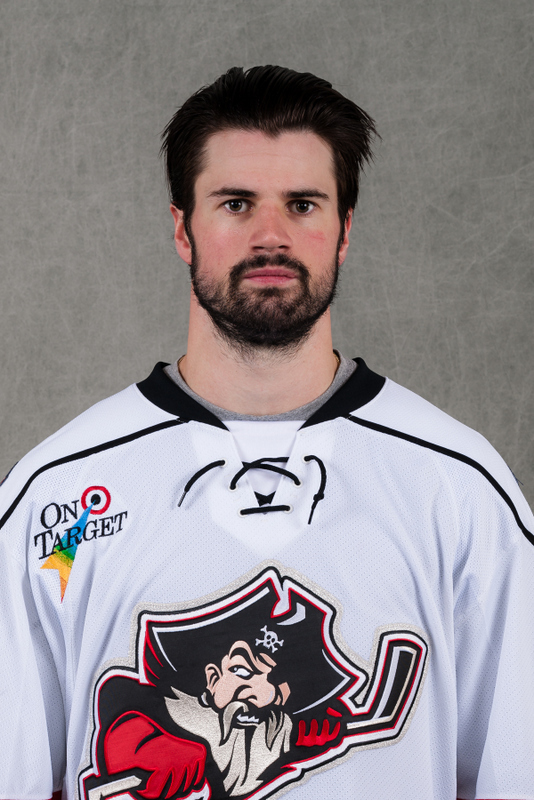 As a rookie, he split last season between the Panthers’ AHL affiliate in San Antonio (2g, 8a for 10pts in 31 games) and the Cincinnati Cyclones (1g, 12a for 13pts in 21 games). Weegar is a former winner of the Memorial Cup, winning the title with the Halifax Mooseheads in 2012-’13. He was also named the top plus/minus player in the QMJHL with a plus-55 to make him the third Panthers prospect (Jonathan Huberdeau 2010-’11, 2011-‘12) in a row to win the honor. Bio: Racine is a tough-nosed defenseman that will give the Pirates grit and toughness over the course of the season with a smaller roster. He spent last season in San Antonio where he recorded seven assists and led the team with 149 penalty minutes in 70 games. The Montreal native played on a who’s who roster with the Shawinigan Cataractes that won the 2012 Memorial Cup. 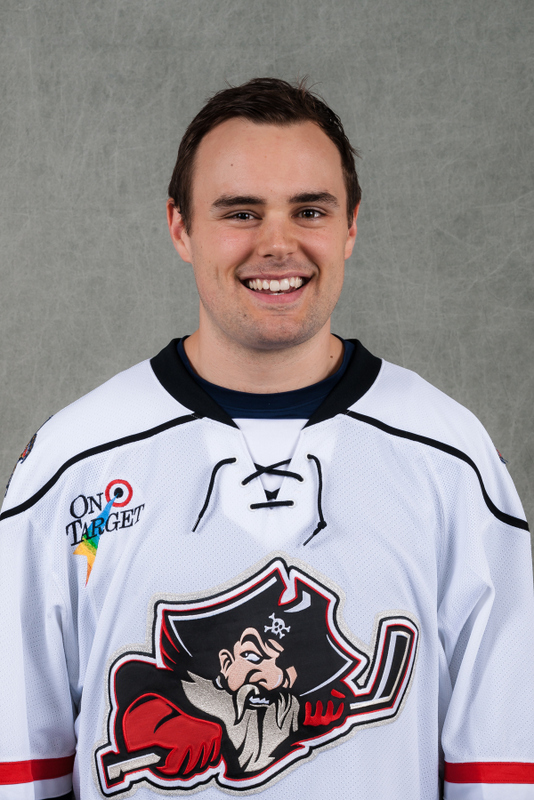 During that season, he skated with former Pirates’ Brandon Gormley and Justin Hache as well as former Lewiston Maineiacs’ Michael Chaput, Kirill Kabanov, and Pierre-Olivier Morin. Bio: Simpson is an offensive threat on the ice and will fit into a Tom Rowe style of offense that preaches high-tempo offensive action. Simpson has played the last two seasons with the South Carolina Stingrays of the ECHL where he has scored 38 goals, 58 assists for 96 points in 131 games. The Boxboro, Massachusetts native played four years at Union College where he totaled 115 points (56 goals, 59 assists) in 159 contests, leading the team in scoring his senior season and helped claim back-to-back ECAC championships in 2012 and 2013. 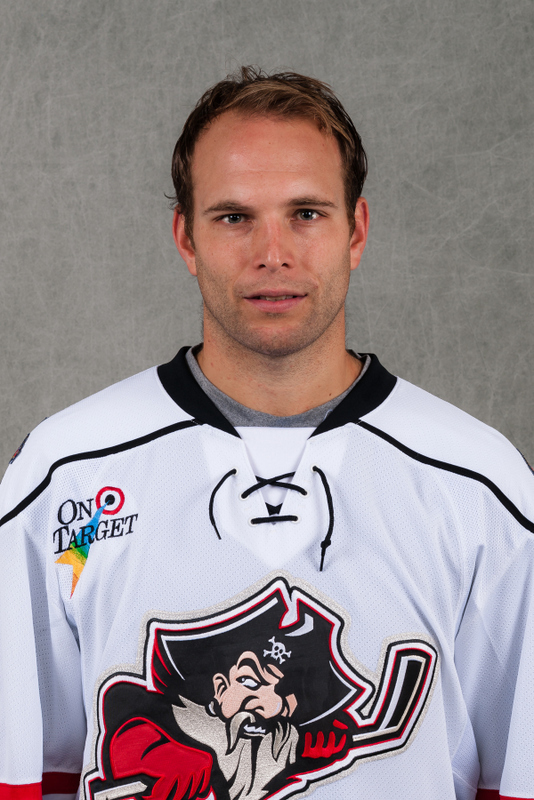 Bio: Named the 18th captain in Pirates franchise history, Regner has been a leader on every team he’s played. He was captain for the Chicago Wolves last season. He finished last season with six goals, 23 assists for 29 points and a plus-21 rating. Regner is a veteran of 389 AHL games with Syracuse, Springfield, Peoria, and Chicago. 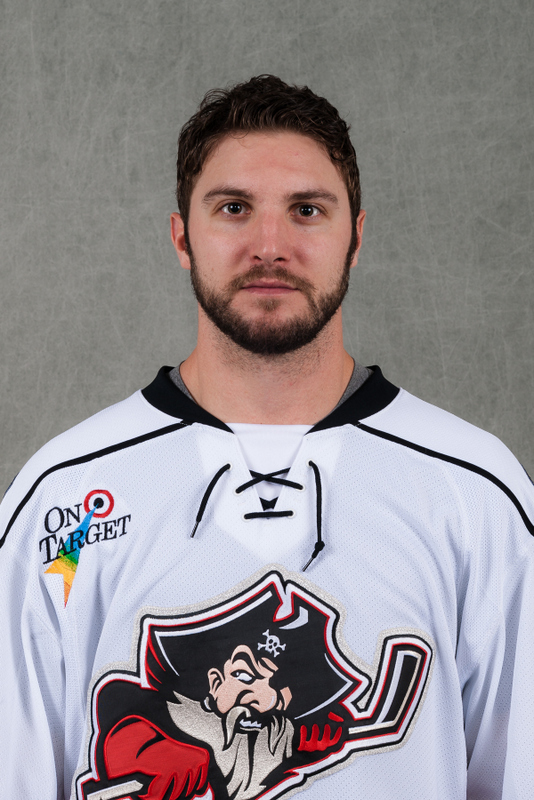 Bio: Grimaldi is a spark plug type of player that fits the mold of former Pirate Nathan Gerbe. Grimaldi was assigned to Portland last week after missing most of training camp with the Panthers due to an ankle injury. 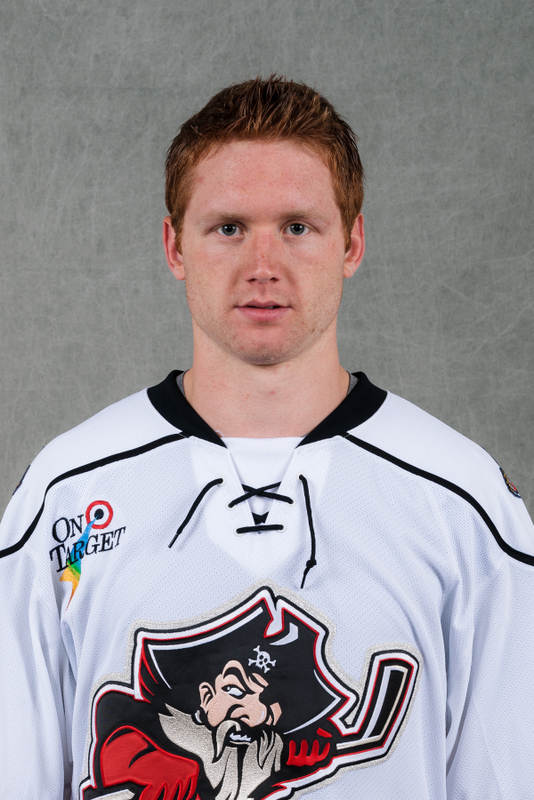 He spent last season with the Rampage where he scored 14 goals, 28 assists for 42 points in 64 games. He made his NHL debut last year with the Panthers, appearing in seven games and scoring his first NHL goal. 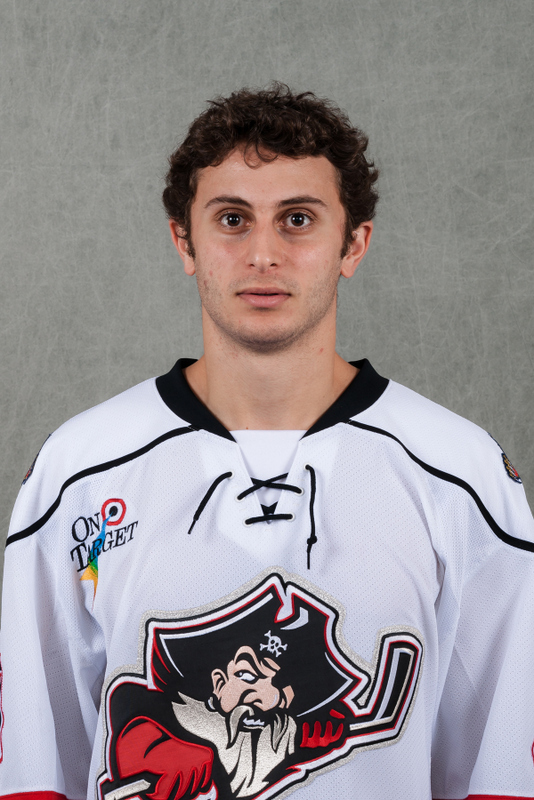 Grimaldi has won a Gold Medal for the USA at the U17, U18 and U20 World Championship. He played three seasons for the University of North Dakota, scoring 31 goals, 36 assists for 67 points in 86 games. Bio: Schremp is looking to find his way to the NHL after spending the last four seasons overseas in the KHL, Austria and Sweden. Often considered a prolific playmaker, the first round draft pick of the Edmonton Oilers, is back after played for Skelleftea last season in the Swedish Elite League. Schremp is a former Memorial Cup with the London Knights. Schremp has appeared in 218 AHL games with Springfield and Bridgeport, scoring 48 goals, 126 assists for 174 points. 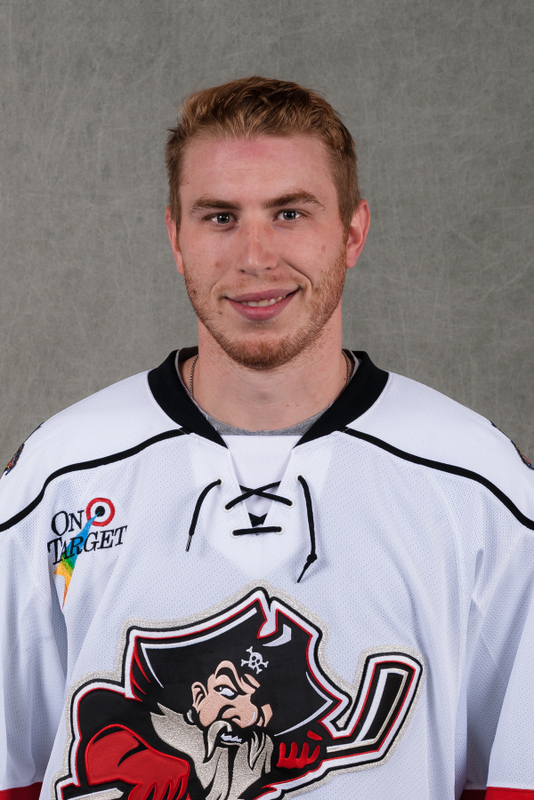 Bio: Harper is coming into his own a goal-scoring forward after playing last season with the Chicago Wolves. He led the team with 32 goals in 75 games. Prior to joining the Wolves, he played four seasons with the Adirondack Phantoms, scoring 20 goals, 21 assists for 41 points in 143 games. 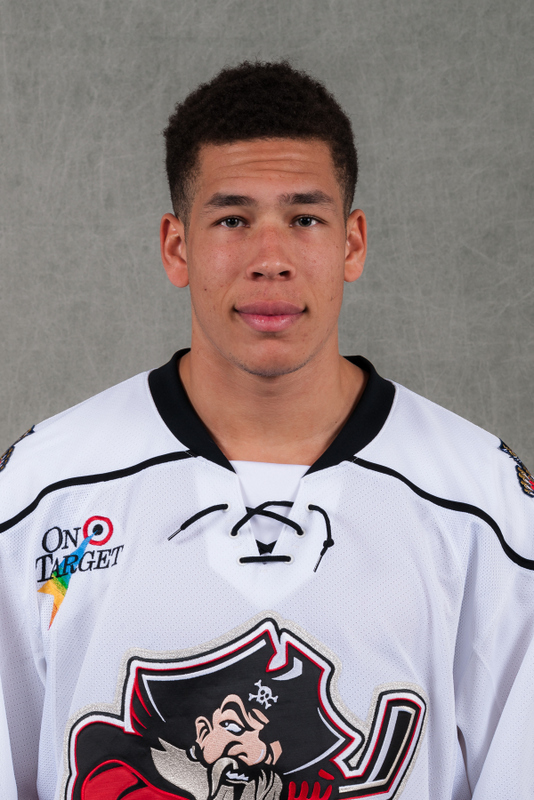 Bio: Balisy established himself as a scoring threat during his rookie season with the St. John’s IceCaps last season. He led the team with 23 goals and finished second in team scoring with 44 points in 73 games. Balisy played four years at Western Michigan University, scoring 49 goals, 80 assists for 129 points in 161 games. 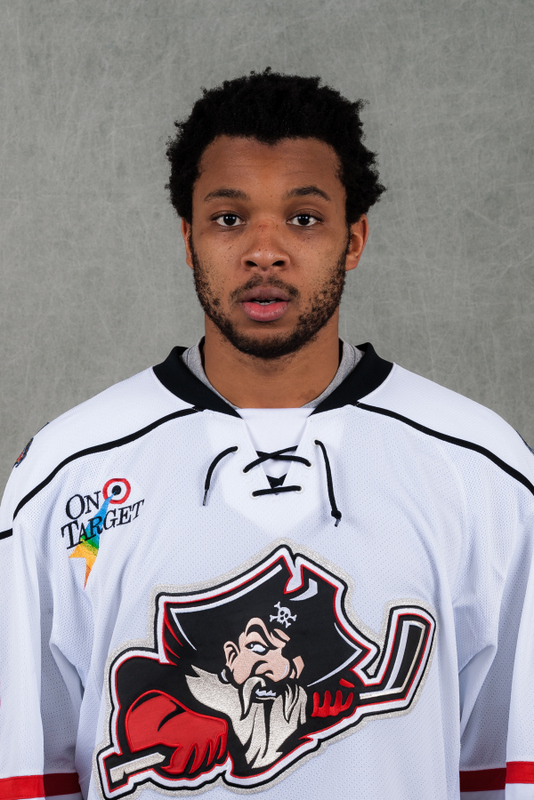 Bio: Acolatse can play both forward and defense and has a gritty presence on the ice. He’s a hard worker around the boards and creates much of his offense from around the goal crease. He played four years with the Worcester Sharks before signing last season with the Adirondack Flames. 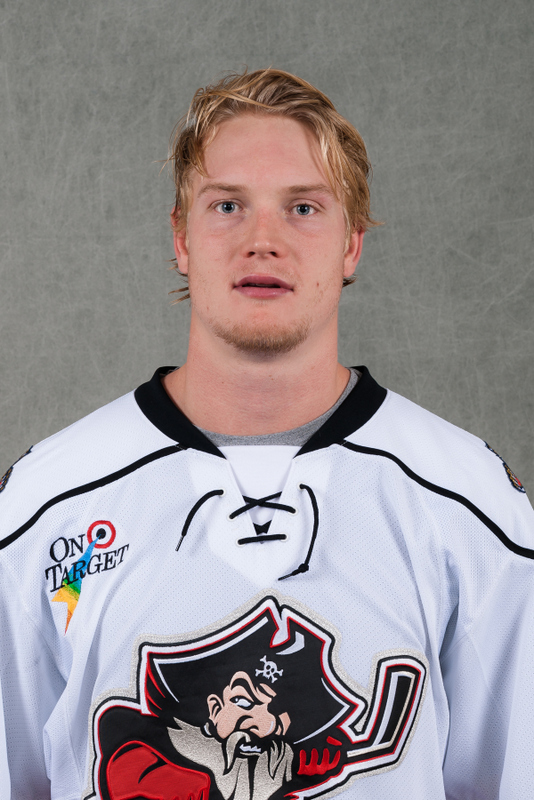 Bio: McFarland looks to build upon last season where he spent the entire season on the AHL with Rampage. He posted 19 points (10g, 9a) in 46 games and improved as the season progressed. After playing four seasons in the OHL with Sudbury, Saginaw, and Ottawa, he split his first two pro seasons with the Rampage and Cyclones. In 135 AHL games, he has 57 points and a plus-3 rating. 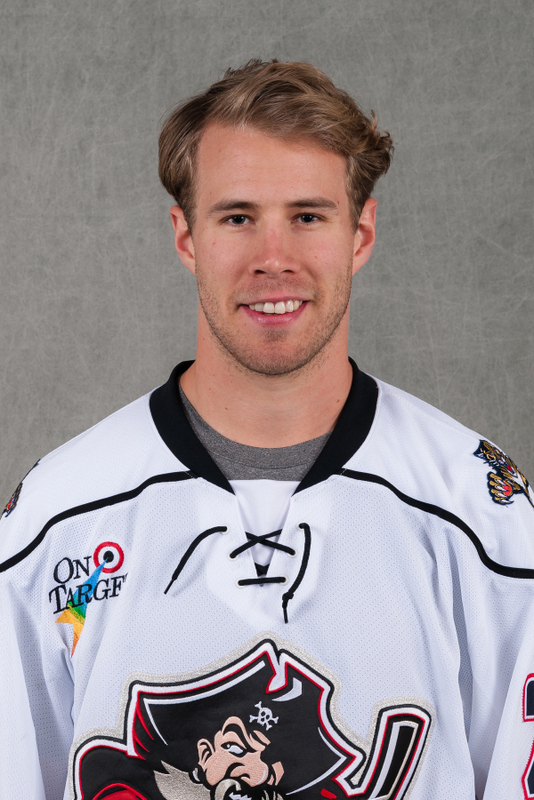 Bio: Olson joined the Panthers organization last season after played two years for the Abbotsford Heat. 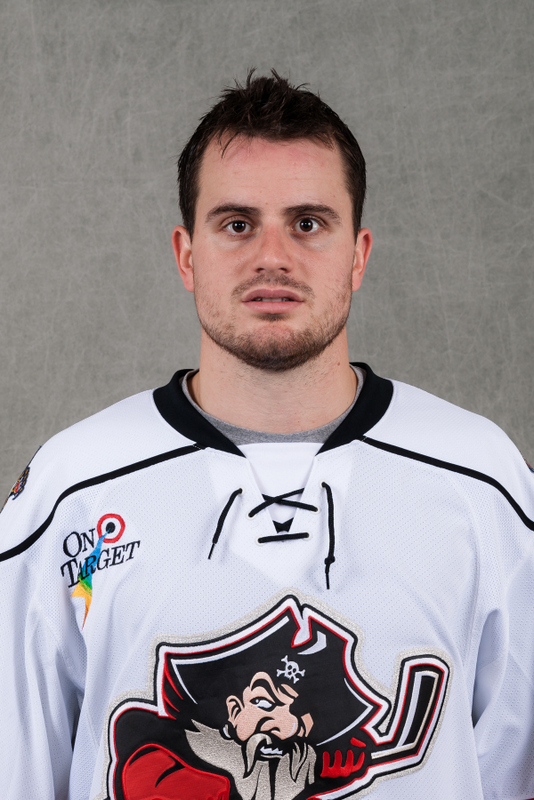 Last year in San Antonio, Olson tallied 14 goals, 31 assists for 45 points and plus-11 in 76 games. He played four years at Michigan Tech where he was team captain his junior and senior year. In 127 games with Michigan Tech, he’s scored 42 goals, 51 assists for 93 points. Bio: Wilson is beginning his fifth professional season with the Pirates. He made his NHL debut during the 2013-14 season with the Panthers. Wilson played major junior hockey in the OHL, competing for the 2011 Memorial Cup as a member of the Owen Sound Attack. Last season, Wilson appeared in 71 games for the Rampage, recording 23 goals, 15 assists for 38 points. 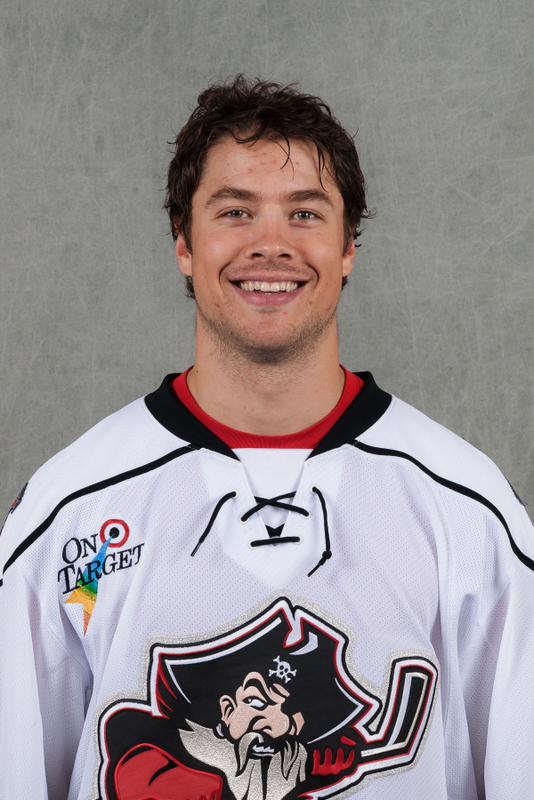 Bio: Knight will provide a veteran presence to a young roster this season in Portland. Despite only playing three seasons as a professional, he has been a veteran leader in the locker room and on the ice. 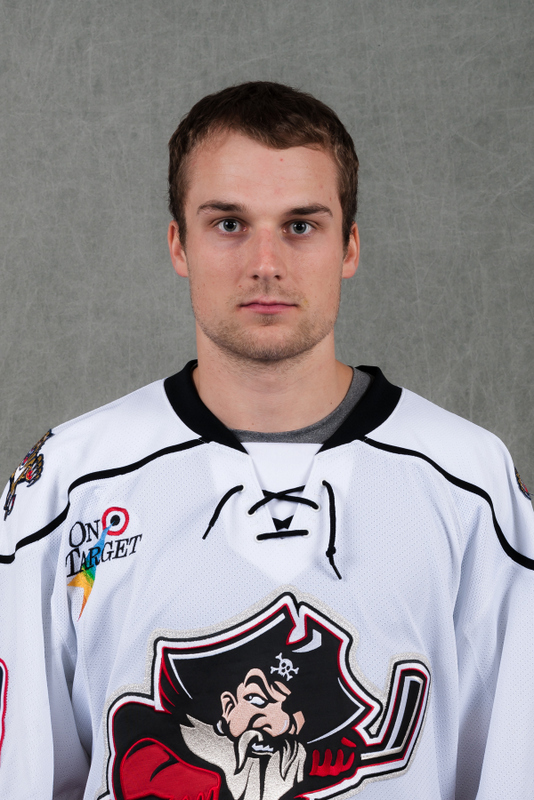 Knight played four seasons at the University of North Dakota and was a draft pick of the Florida Panthers. Unable to reach a deal on an entry-level contract he was traded to the Calgary Flames where he posted a career season with their AHL farm club in Abbotsford, BC, posting 18 goals, 27 assists for 45 points. He was re-acquired by the Panthers last season and played 36 games for the Rampage where he scored eight goals, 16 assists for 24 points. 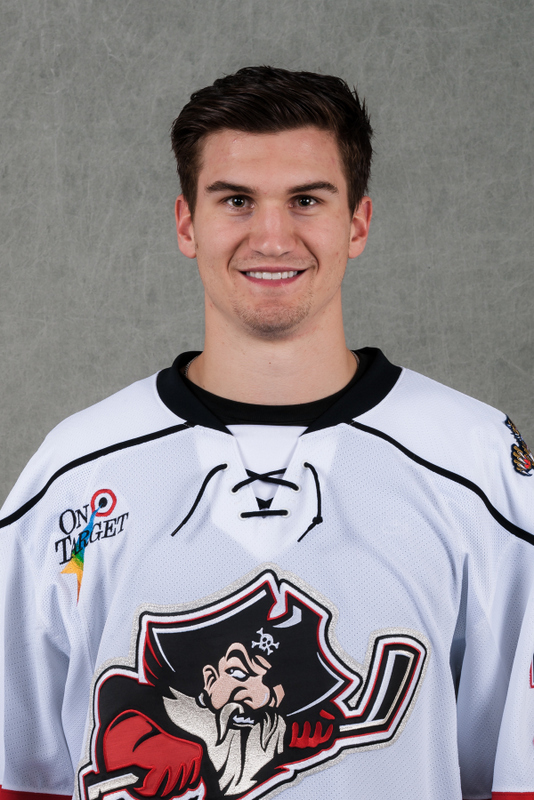 Bio: Matheson is entering his rookie season with the Pirates after spending three seasons at Boston College. Following his junior year at Boston College, he made his pro debut with the Rampage where he notched two assists. The Montreal native is a first round pick of the Panthers in the 2012 NHL Entry Draft. Bio: Shaw is a strong two-way forward that can play multiple spots within the lineup. 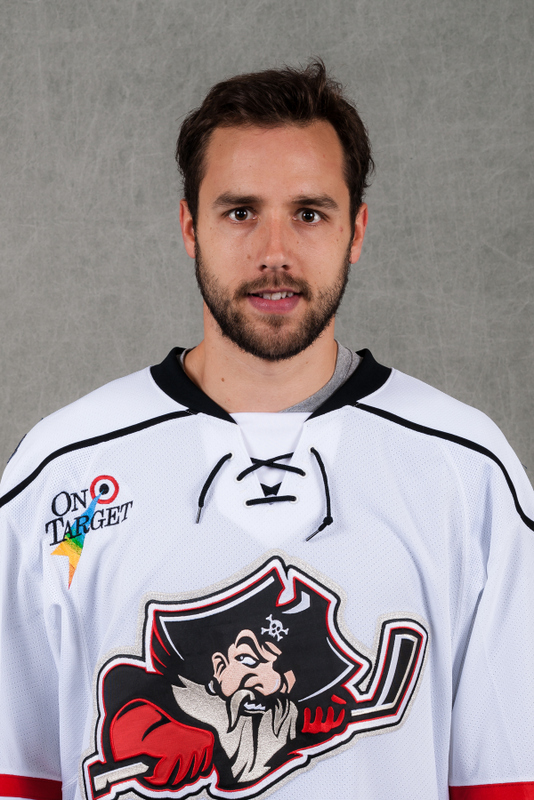 He spent five seasons in the QMJHL with Cape Breton and Quebec before joining the Rampage in 2013. During his rookie season, Shaw split time with San Antonio and Cincinnati. Last season, he scored 13 goals, 12 assists for 25 points in 69 games with the Rampage. His father Gerard Shaw was a scout for the former Lewiston Maineiacs. 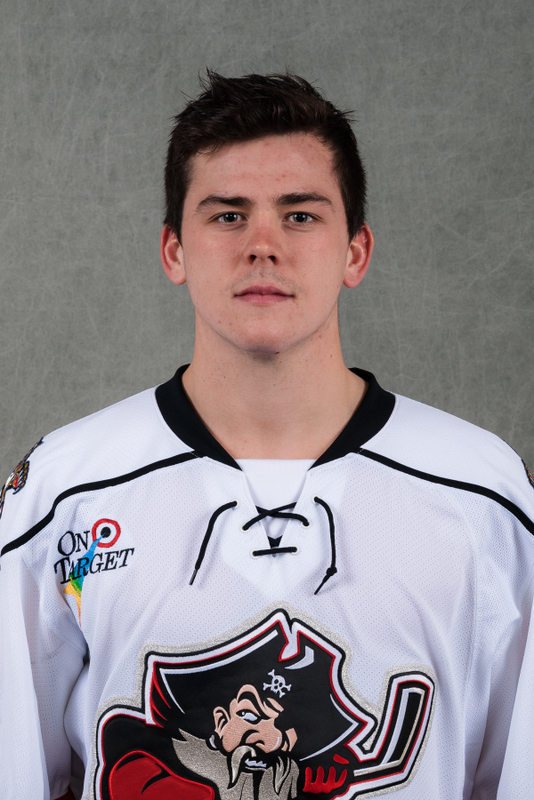 Bio: Gaunce is going to be counted on to provide a steady defensive presence on the blueline. Gaunce played three years with the Mississauga St. Michael’s Majors before making his pro debut with the Lake Erie Monsters. He made his NHL that season, appearing in 11 games with the Colorado Avalanche. During the 2012-’13 season, he was traded to Dallas and was assigned to the AHL’s Texas Stars where he won the Calder Cup. Last season, he played 73 games with Texas where posted four goals, 10 assists for 14 points. He was not qualified by the Stars, opting to sign with the Panthers. Bio: Flick is pesky forward that can create havoc in front of the goalie crease. Drafted by the Chicago Blackhawks, Flick began his pro career with Rockford Ice Hogs during the 2011-’12 season where he scored 13 points in 45 games. He was later traded to the Boston Bruins in exchange for Max Sauve and played the next three seasons with the Providence Bruins. Last season was a career year for Flick after he tallied 19 goals, five assists for 24 points. Bio: Megan is entering his fourth season with the Panthers organization. After spending four years at Boston University where he was named captain his senior season, he joined the Rampage for 13 games, scoring his first professional goal. 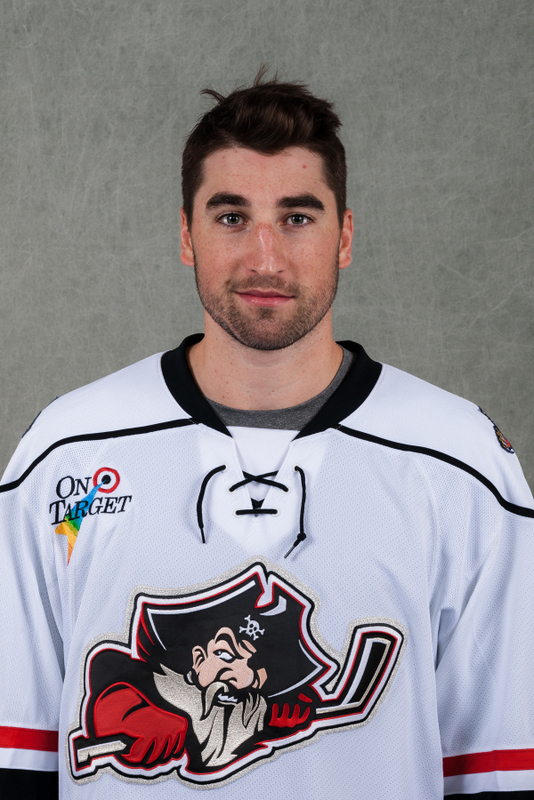 He spent time in the ECHL and AHL over the next two seasons including the 2013-’14 season where he finished as a finalist in the Kelly Cup Finals with Cincinnati. 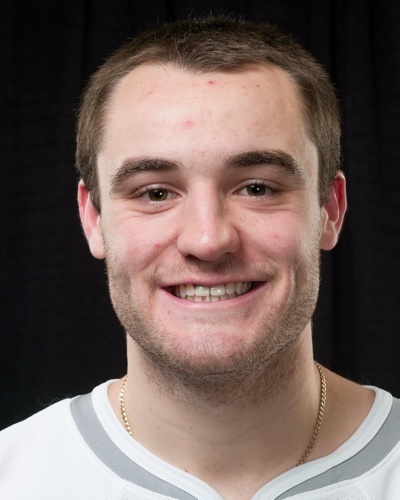 Bio: Saponari is a well-travelled hockey player. The Georgia native played his collegiate career at Boston University and Northeastern University. He was a member of the Terriers NCAA National Championship in 2009, scoring 30 points in 38 games. He left Boston University for USHL, winning the Clark Cup the following season before heading back to Massachusetts and Northeastern University. His pro career has seen him spend time with St. John’s, Milwaukee, Cincinnati, Hartford, and Greenville. Bio: McKegg was a draft pick of the Toronto Maple Leafs in 2010 and split time between the Marlies and the Maple Leafs the last three seasons. Last season he played 62 games for the Marlies where he finished with 22 goals, 15 assists for 37 points with a plus-9 rating. He played his junior hockey with the Erie Otters of the OHL. He was the captain of the Otters from 2010-2012. Bio: Rau is a prototypical college hockey player. As a player from Eden Prairie, he was named Minnesota’s Mr. Hockey as the state’s top hockey player. He stayed in his home state to attend the University of Minnesota where he became on the school’s elite players. In four seasons with the Golden Gophers, he posted 67 goals, 97 assists for 164 points in 160 games and was a team captain for his junior and senior seasons. 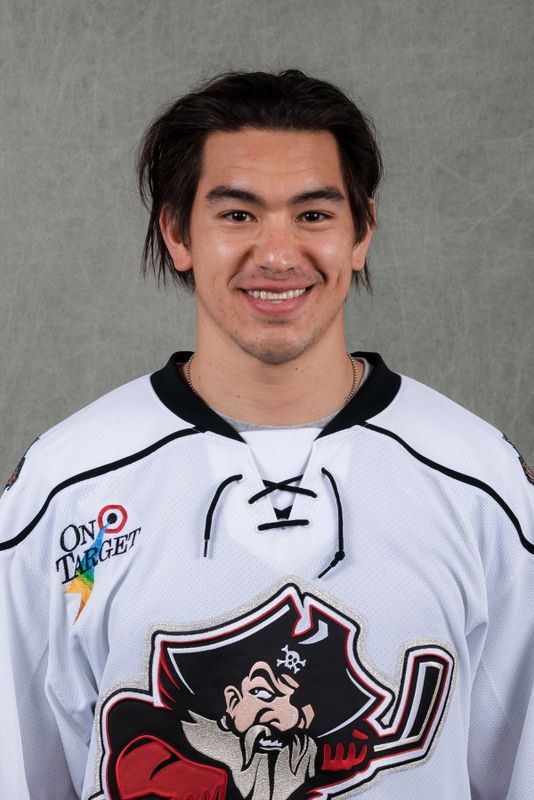 He made his pro debut with the Rampage last season and scored a goal and two assists in seven games. Bio: Sauve is a shutdown defenseman that will fill a critical role in the lineup. He’ll likely be the team’s seventh defenseman to start the season, but it won’t be long before he’s likely seeing everyday minutes in key situations. As a 2008 draft pick of the Vancouver Canucks, he made his NHL debut in 2010. Last season, he split time with Orlando of the ECHL and St. John’s, Springfield and Providence of the AHL. Bio: Brown was the captain of the 2015 Memorial Cup champions, Oshawa Generals. He finished last season with six goals, 15 assists for 21 points with a plus-49 rating. Over Brown’s four-year career in the OHL, he tallied eight goals, 45 assists for 53 points and a plus-64 rating with Oshawa. 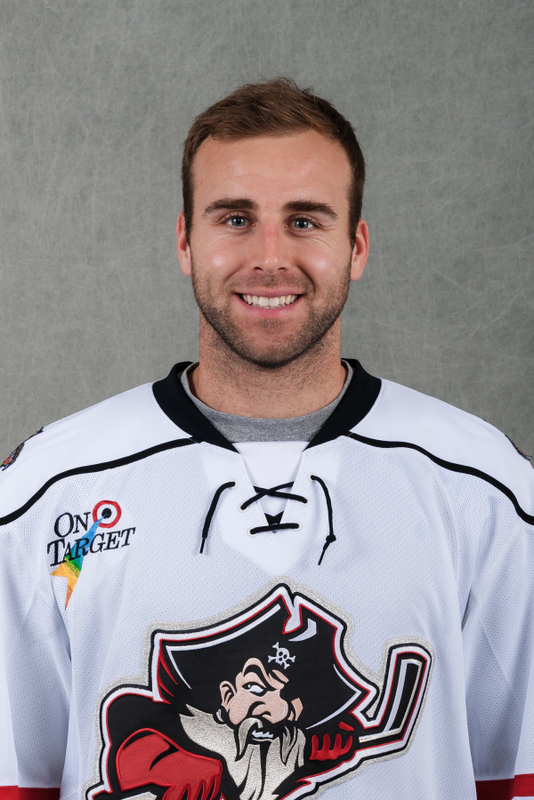 Bio: McKenna is returning to the Pirates after signing a two-year, two-way contract with the Panthers over the summer. He’s slated to be the number one goalie with the Pirates this season as he works with Brittain. McKenna had career highs last season with the Pirates posting 27 wins and seven shutouts. He finished with a 2.27 GAA and .926 save percentage.